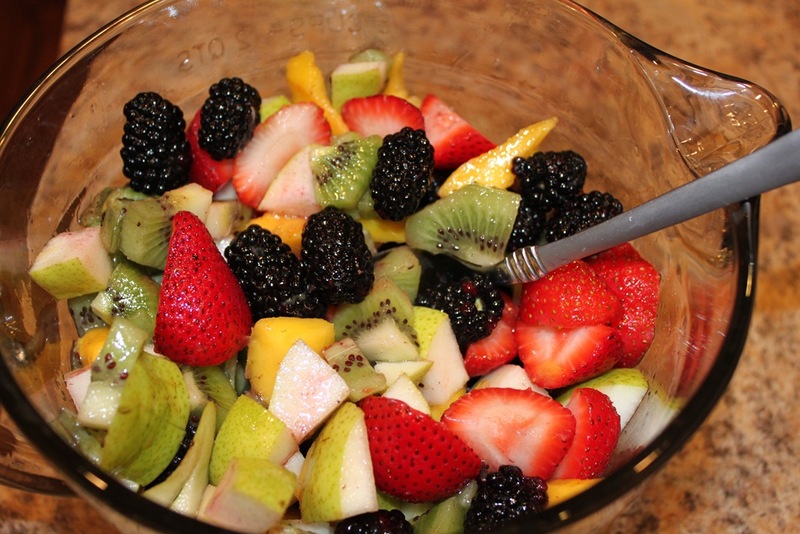 I have a refreshing and light fruit salad recipe to share with you all today. This is going to be short because how much can one really say about fruit? 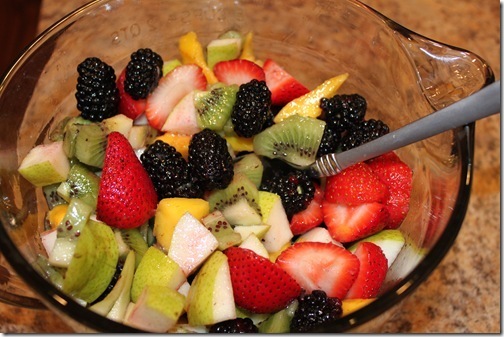 Directions: Combine all fruit in a bowl then sprinkle lemon juice over the top and gently stir. Serve as a side dish to some grilled chicken. Serve as a side dish to some grilled steak. Serve as a healthy snack during the school day. Either way, just serve and enjoy! Looks absolutely delicious. So, how do you pick a good mango? Every time I buy a “good” one, it ends up being brown inside. I’m not sure the secret, I usually get ones that are fairly firm, green and a little red on them…too much red and they’re squishy. Yum! Thanks for the lemon juice tip! Super Yummy!!! Thanks for the recipe! I made it last night and loved it!